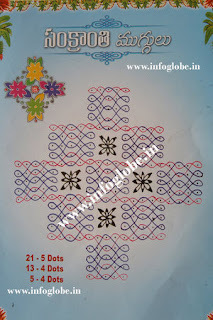 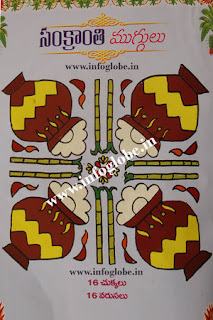 Beautiful collections of Sankranthi Mugulu With Chukkalu which are to be drawn during the festival of Pongal. As we know that Pongal is the festival of Harvest. As farmers expect more harvest from their hardwork done for the entire year and celebrate this as a festival with the entire family. 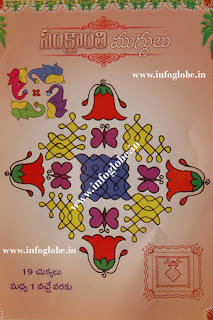 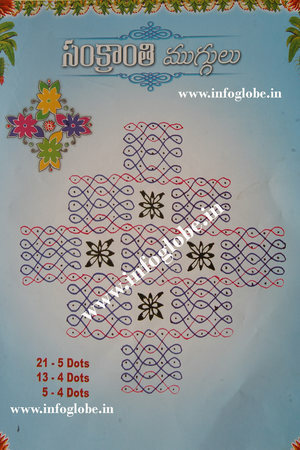 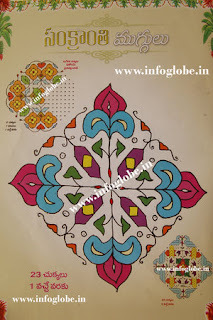 Their household members(Female) draw the beautiful Sankranthi Muggulu and display their joyness and happiness.